Washington (dpo) - How is this even possible? 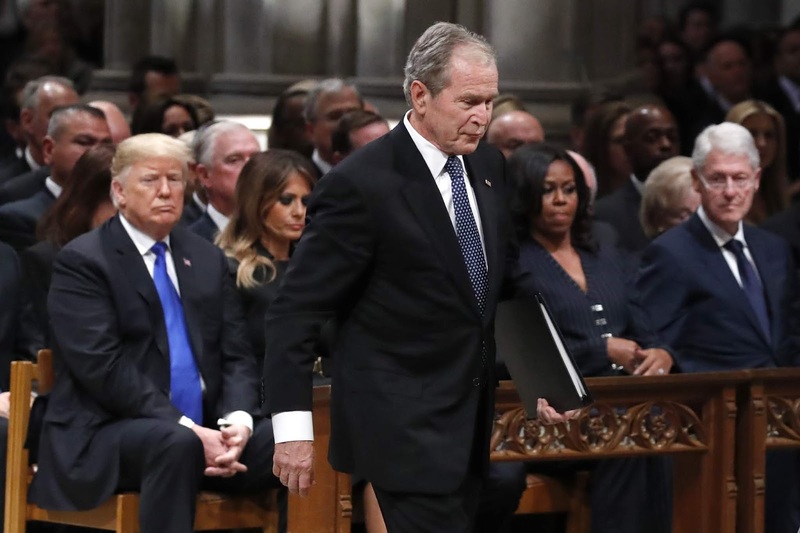 This week at the funeral of former US President George Bush, current US President Donald Trump almost fell of his seat when he spotted former US President George Bush among the mourners. He still shivers when he thinks back to that moment. Trump is still not sure whether he was the only person who was able see and hear George Bush or if others may also have sensed his presence.